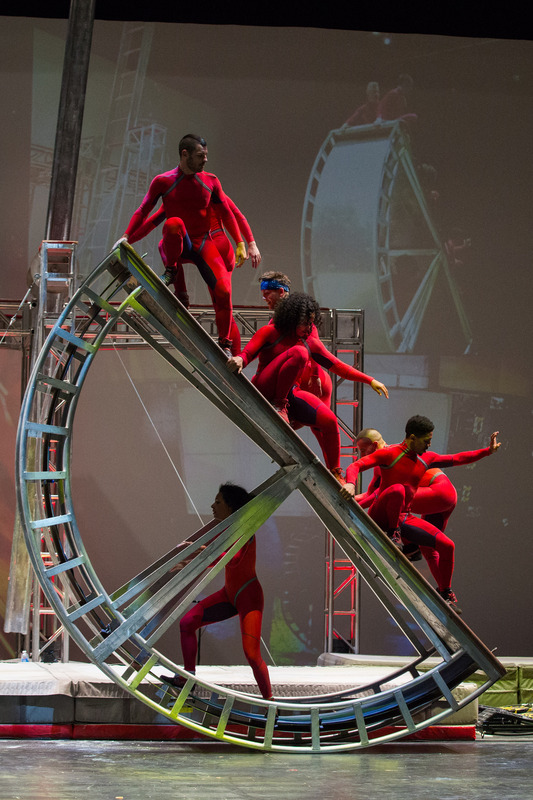 The members of Elizabeth Streb’s company, STREB EXTREME ACTION, combine virtuosity and technical skill with openhearted popular appeal. 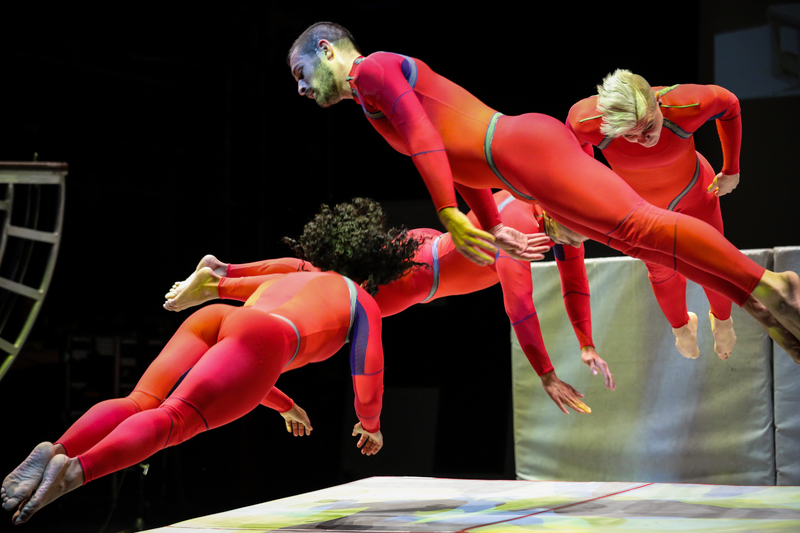 Founded in New York City in 1985 by choreographer Elizabeth Streb, the company has traveled, artistically as well as geographically, from the heights of the experimental dance world to the cutting-edge of popular entertainment. *If you are attending open company rehearsal with a group of 10 or more, please email shannon@streb.org to schedule your visit! Every rehearsal is open to the public. Check out what we’re working on now! Cassandre Joseph was born and raised in Brooklyn, New York. Her investigation in movement began at the age of four with the sport of gymnastics. Over a span of twenty years as a competitive gymnast, she earned several state and regional titles. She graduated from Cornell University with a B.A. in English Literature and studied journalism at Temple University’s graduate communications program. She joined Streb in 2007 as an instructor and company member and when she is not seen in a rehearsal or teaching classes at SLAM she has been seen ziplining across the Park Avenue Armory, scaling the walls of the Bergdorf building and dancing on the spokes of the London Eye. In addition to her performance work with the company Cassandre is the Creative Director of the STREB Kid Company since 2010. For the STREB Kid Company, she has choreographed and self-produced three evening length works: Heroes (2015), Momentum (2016) and Navigation (2017). For the past 6 years she has acted as STREB’s education liaison. In September 2017, Cassandre Joseph was appointed Associate Artistic Director of STREB Extreme Action and is now in charge of overseeing SLAM’s education program. She is a strong believer in the transformative power of movement and is passionate about empowering young people to push boundaries and expand their notions of what is possible. Cassandre is grateful to do what she loves everyday and to work for a real life genius! When she is not creating action events at STREB, she can be found training her daughter Nia to be a mini-action hero. Coming from Detroit, Michigan, Jackie has studied ballet, jazz, lyrical, tap, and gymnastics since the age of 6. She’s won many awards and scholarships in the dance competition world, including Miss Dance of Michigan in 2000, and “Most Outstanding Dancer ’01” with NYC Dance Alliance. She spent 5 consecutive summers on full scholarship at The Milwaukee Ballet School, then moved to New York City right out of high school to join The Dance Theatre of Harlem ballet company. Jackie’s dream came true when her lifetime goal of becoming a stunt double, and her love of dancing COLLIDED and STREB appeared! Daniel Rysak has finally found a way to exhaust his energy: STREB! The perfect fit to accommodate his adventurous appetite and artistic soul. In the past 8 years with STREB, Daniel has been fortunate enough to perform at the London and Vancouver Olympics, the Holland Dance Festival, and in Central Park at the Delacorte Theatre. Daniel never dreamed that his career would take such heights. He is grateful to his family, friends, and teachers for their support and belief in him, but knows ultimately you have to believe in yourself. Daniel is honored to be making contributions to the evolution of human flight. Originally from Connecticut, Tyler was trained as a dancer at a very young age and graduated from New York University’s Tisch School of the Arts with a B.F.A. in Dance. In 2011, he became a certified AntiGravity Yoga® instructor which is what initially brought his dance and movement practices up off the ground and into the air. Since then, he has been teaching a wide variety of aerial classes in the tri-state area and continues to explore and teach a wide range of movement techniques. He most recently performed with STREB in Athens, Greece as part of the Summer Nostos Festival, and is thrilled to be continuing with the company. 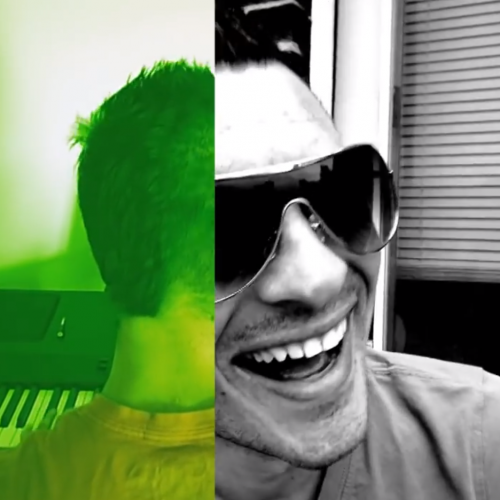 Justin hails from the mysterious State of “Great Faces, Great Places”… South Dakota! After taking Beginning Modern Dance as a fine arts elective at George Mason University, Justin fell in love with movement and began his journey into the world of concert dance. At Mason, Justin was extremely lucky to work with an absolutely amazing faculty who took a great risk on letting this prairie boy into their program. He got to dance in works by Stephen Petronio, Ohad Nahrin, Mark Morris, Bill T Jones, Robert Battle, and Lar Lubovich to name a few. 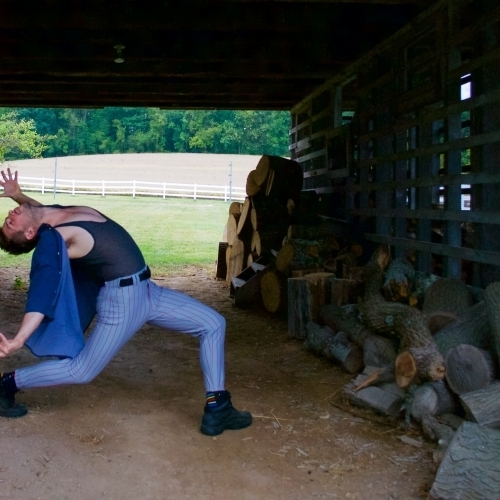 Post college Justin started teaching at SouCycle and connected with Sarah Nagle through Jessica Taylor/DAMAGEDANCE and began choreographing site specific performance art works that have been set throughout the city. This is Justin’s first season with the company and he is beyond excited to be flying with the best! Sophia Wade is 22 years old and from a very young age has loved flipping around, climbing walls, and doing what wouldn’t be done. Being a gymnast for 11 years has taught her resilience, confidence and body awareness. She loves moving her body in ways that are unnatural and going through experiences that make her heart pound. Finding STREB, and doing the unordinary, feels and looks amazing. 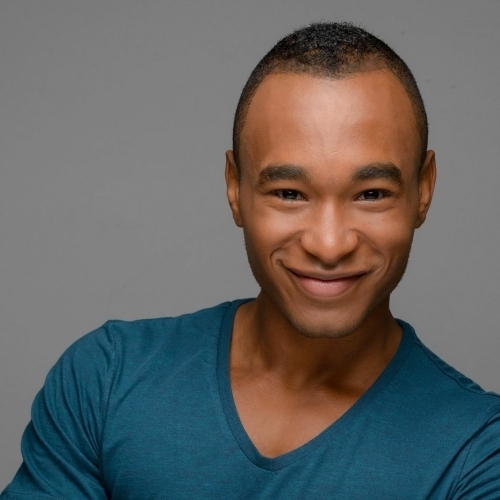 Chance Marshaun Hill, born in Stuttgart Germany, began his journey as a dancer at Southeast Missouri State University where he received his BFA in theatre and dance. He is thrilled to be joining Streb as a company dancer. Previous dance and aerial credits include: Royal Caribbean Cruise Lines, Hairspray, Flight: Dare to Dream, Chicago Repertory Ballet, XY Dance Project, and Elle Vie Dance Company. New York native, Kairis Sheila Daniels finds great pleasure in being a part of her community; exchanging light and love along her journey. Kairis has been teaching and coaching movement for over ten years in schools and studios throughout Queens and Long Island. Many years of training in basketball, modern dance, tap and West African dance has instilled in Kairis a student mentality that forces her to evolve. As a current student of Massage Therapy, Kairis enjoys examining the body, it’s energy and our endless possibilities. At STREB, she’s excited to have the opportunity to experience her light “at large”! Marcus “Zebra” Smith was born and raised in the sunny island of Bermuda (Yes, Like the triangle!). He spent 18 years soaking up all the arts and creativity his home had to offer and then packed up and moved to New York City. He graduated from Tisch School of the Arts, New York University with a B.F.A in Theatre. He also pursued his love of dance and people with minors in Dance and Child and Adolescent Mental Health Studies. With dreams bigger than his 21 square mile island could contain, he is grateful for his village of love and support. They’ve always pushed him to shoot for the impossible, so what better company to join than STREB! He is honored to be Bermuda’s First Real Action Hero and can’t wait for this adventure of a lifetime to help him soar to new heights! Brigitte Manga was born and raised in New York City and was a high level competitive gymnast until the age of seventeen. 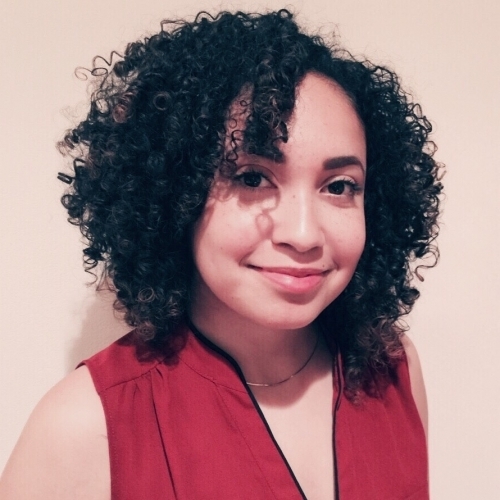 Brigitte graduated from Radford University in December of 2018 with an Outstanding Student award, a BFA in dance and a BA in History. At Radford University she had the privilege to work with guest artists’ Kyle Abraham and Natalie Marrone. With the Radford University dance department she also performed at the 100th year anniversary ceremony for the NASA Langley Research Center, and had the opportunity to attend an international training program in South Korea. 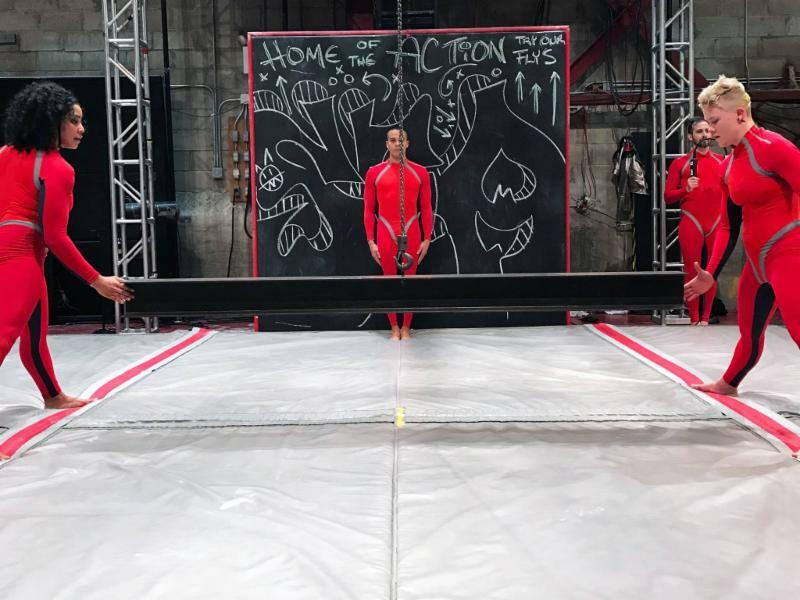 Streb has provided Brigitte with an opportunity to combine her two passions of dance and gymnastics, and she is beyond ecstatic to be an Action Hero! Zaire Baptiste is a multi-disciplinary artist that has been a part of the Streb Extreme Action for over 10 years producing visual and audio content as well as performing movement with the company. Zaire’s athletic football background has helped him fit in with Elizabeth Streb’s extreme action movement. Known as “The Voice of Streb” Zaire has been DJ/VJ and MC now Zaire will curate the sound talent as a part of Elizabeth Streb’s show SEA, presenting DJs and producers playing sounds to accompany the pop action movement. 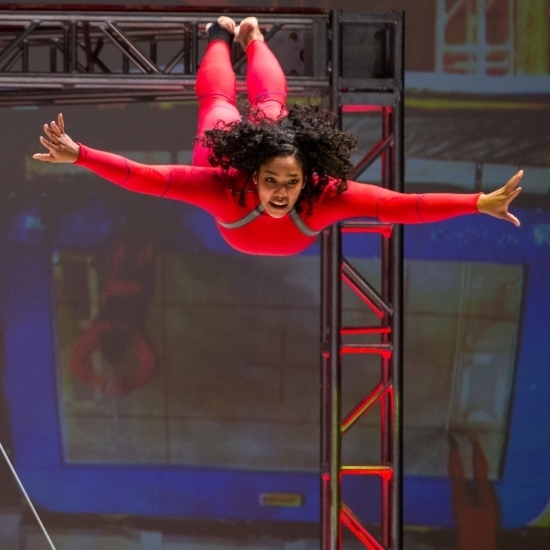 Zaire is set to showcase sound and movement for Streb’s latest Slam Show. Laura is a long-time journalist, author and media activist. She wrote the New York Times bestseller Bushwomen: Tales of a Cynical Species (2004, Verso) and Blue Grit: Making Impossible, Improbable, and Inspirational Political Change in America, (2007, The Penguin Press.) She’s the founder and host of GRITtv. You can find out more at lauraflanders.com and follow her on Twitter @GRITlaura. Ms Harrington received the Drama Desk, The Outer Critics Circle and American Theatre Wing Awards for the projections in The Who’s Tommy. Other Broadway credits: Amy’s View, The Good Body, Civil War, Putting it Together. Freak, Ragtime, The Capeman, Racing Demon, Company, Having Our Say, Four Baboons Adoring the Sun, The Heidi Chronicles, My One and Only, and Their Playing Our Song. Off Broadway: Les MIZrahi (Visual Director), As Thousands Cheer, Merrily We Roll Along (3 times!) Hapgood, and the ill-fated Whistle Down the Wind. Opera: Brundibar, Grapes of Wrath, Nixon in China, A View From The Bridge, The Photographer, The Magic Flute, Ghosts of Versailles, Rusalka, Orpheo ed Euridice Ballet: Anna Karenina, Othello Ballet Mecanique, Concert: Stop Making Sense, The Talking Heads, Ira Gershwin at 100,Carnegie Hall, Simon and Garfunkel Old Friends Tour, Chris Rock. Sports: Player introductions for the New York Knicks, Rangers and Liberty at Madison Square Garden. Ms Harrington is the recipient of the 1995 Obie Award for excellence in projection design and the Michael Merritt Award for Design and Collaboration. The former design director of Esquire Magazine, she produced Words on Fire for PBS and two fine daughters. She lectures widely on Projection design and is on the faculty of the Yale school of Drama. Jim wrote and co-conceived FELA!, winner of 11 TONY nominations on Broadway, and 3 Oliviers for the National Theatre production in London. He personally received nominations for both “Best Musical” and “Best Book for a Musical” for these productions. Prior to that, Jim also received a Lortell Award for “Outstanding Musical” for FELA! and an unprecedented two Drama Desk nominations in the same year for “Best Book” for both FELA! and This Beautiful City (w/ The Civilians). FELA! recently completed a two-year worldwide tour. Other selected works. Broadway: Chronicle of a Death Foretold (TONY, Drama Desk nominations); and Dangerous Games (both w/ Graciela Daniele). Off Broadway/Regional: Tango Apaisionado; Ionesco’s The Chairs; Ibsen’s Lady from the Sea. Opera/Dance: Paul Dresher’s The Tyrant; Ballet Hispanico’s Nightclub; Philip Glass’ Les Enfants Terribles;PastFORWARD (w/ Mikhail Baryshnikov). Dramaturg: House Arrest (Anna Deavere Smith); Drawn to Death (Art Spiegelman); Cymbeline and Waste (w/ Bartlett Sher); Lincoln Center’s WOZA AFRIKA Festival. W/ Bill T. Jones: Dream On Monkey Mountain, Chapel/Chapter, and Still/Here (20th Anniversary Season. Alex Rappoport is an award-winning cinematographer, editor, and independent video producer specializing in documentary filmmaking. Since 2009 he has been the director of photography for History Channel’s Swamp People series. From 1996 to 2001 he produced numerous segments for WNET’s City Arts and PBS’s Egg: The Arts Show. More recently he has directed and shot several music videos, image spots for the Sundance Channel and Nick Jr., documentary shorts for Etsy.com and Gallery HD, and produced multiple interstitial programs for the Sundance Channel. In the early 1990’s, Alex shot and/or cut numerous promotional pieces for MTV, VH1, USA Network, Nickelodeon, and The Sci-Fi Channel. As a director of photography he has numerous broadcast credits including National Geographic, The History Channel, PBS, Food Network, VOOM, and several Emmy Award-winning programs for HBO and HBO Family. As a lighting designer, Mr. Wierzel has worked with artists from diverse disciplines and backgrounds in theatre, dance, contemporary music, museums and opera on stages throughout the country and abroad. Robert has a long collaboration (26 years) with choreographer & director Bill T. Jones and the Bill T. Jones/Arnie Zane Dance Company. His other dance collaborations include works with choreographers Elizabeth Streb, Liz Gerring; Andrea Miller/Gallim Dance Company; Doug Varone; Larry Goldhuber and Heidi Latsky; Sean Curran; Molissa Fenley; Donna Uchizono; Alonzo King; Charlie Moulton; Arthur Aviles; Margo Sappington; the Alvin Ailey American Dance Theatre and the Trisha Brown Dance Company. Productions with the opera companies of Paris-Garnier; Tokyo; Toronto; Bergen & Kristiansand, Norway; Folk Opera, Sweden; Glimmerglass Festival; New York City Opera; Seattle; Boston Lyric; Minnesota; San Francisco; Houston; Washington; Virginia; Chicago Lyric; Montreal; Vancouver; Florida Grand; Portland, among others. His theatre work has been seen on and off Broadway, including the musical Fela! (Tony Award nomination) and at the Royal National Theatre of London, UK. Robert’s extensive theatre work includes productions at most major regional theatres within the country, from New York to San Francisco. Robert Woodruff has directed over 60 productions across the U.S. at theatres including Lincoln Center Theater, Public Theater and BAM. Most recently, he directed Celebration at the Hungarian State Theater in Cluj, Bergmans Autumn Sonata at Yale Rep and Madame White Snake for Opera Boston, which premiered at The Beijing Music Festival. Internationally, his work has been seen at the Habimah National Theatre in Israel, Sydney Arts Festival, Los Angeles Olympic Arts Festival, Edinburgh International Festival, Hong Kong Festival of the Arts, Jerusalem Festival and Spoleto Festival USA. Early work includes many premiere productions with Sam Sheppard including the Pulitzer Prize-winning Buried Child. He is currently on the faculty of Yale School of Drama. United States Artists named Woodruff a 2007 USA Biller Fellow. 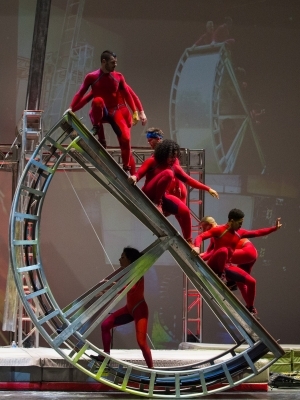 For more than three decades, STREB has performed in theaters large and small and served as artists-in-residence at the world’s top art museums. At the same time, STREB has taken its work into the streets and sports stadiums: at Grand Central Station; in front of the Cyclone roller coaster at Coney Island’s fairground; under the arches of the Brooklyn Bridge Anchorage; as part of V-Day at Madison Square Garden; during halftime at a Seattle Sonics basketball game; at the Minneapolis Metrodome; on the mall outside the Smithsonian Institution and descending the façade of Bergdorf Goodman. The company’s extensive touring calendar has included presentations at the Lincoln Center Festival, the Fall for Dance Festival at the Delacorte Theater, the Wolf Trap Foundation, the Walker Art Center, Los Angeles MOCA, the Wexner Center, Spoleto USA, the River-to-River Festival, the Barbican Center, the Theatre de la Ville, at both the Brisbane and Melbourne Festivals and in Chile, Singapore and Taiwan. Other company highlights: in 2004 Cirque du Soleil celebrated their 20th anniversary and invited STREB to perform with them in front of 250,000 people on the streets of Montreal; in 2010, STREB was featured at the 2010 Vancouver Olympics; in 2011, the company performed ten sold-out shows at the Park Avenue Armory in New York City and was commissioned to create a new work for the Whitney Museum of American Art’s groundbreaking; in 2012, STREB was commissioned by the London Organizing Committee of the Olympic and Paralympic Games and the Mayor of London to participate in the London 2012 Festival. On “One Extraordinary Day” (July 15, 2012), from dawn to midnight, STREB dancers performed 7 action events across major London landmarks including the Millennium Bridge, Trafalgar Square and The London Eye. 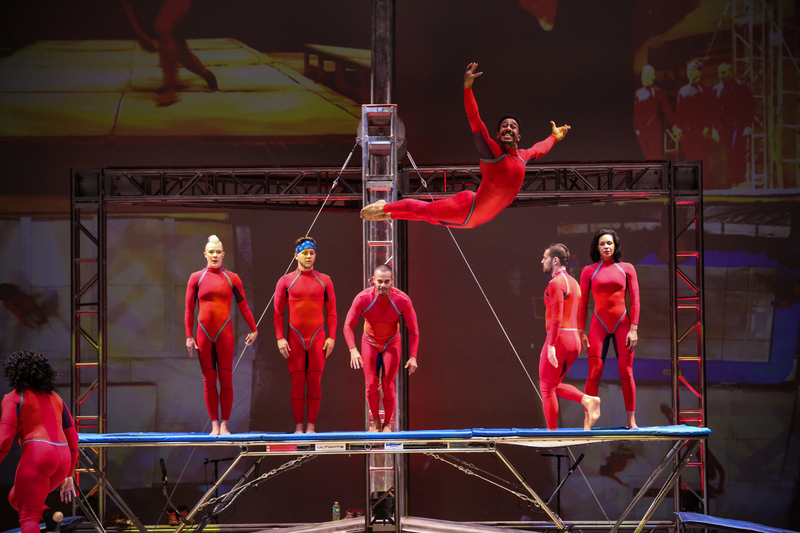 During summer 2015, STREB was featured at the Just for Laughs Festival in Montreal and the Pan Am Games Arts Festival in Toronto. 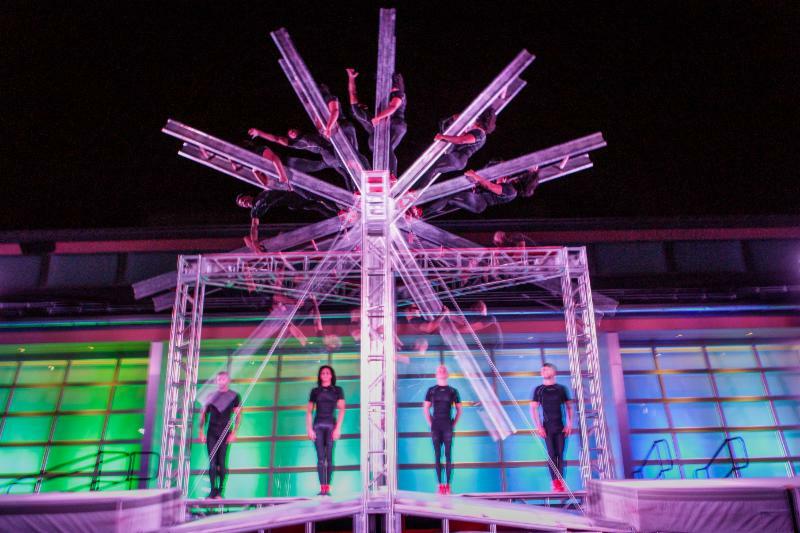 STREB EXTREME ACTION was most recently seen in Greece at the Summer Nostos Festival at the Stavros Niarchos Foundation Cultural Center, CityLab 2018 Paris, and at the opening of Bloomberg’s new corporate headquarters in London. 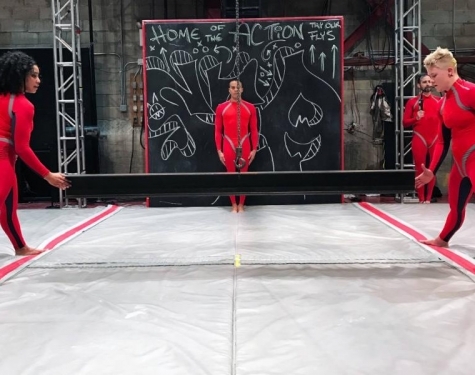 In January 2003, STREB moved into a vacant former loading facility and transformed 51 North 1st Street into the STREB LAB FOR ACTION MECHANICS (SLAM). In 2007, STREB purchased SLAM with unprecedented support for building acquisition from the New York City’s Department of Cultural Affairs, City Council, Mayor’s Office and Brooklyn Borough President’s Office ensuring its future as the home of STREB EXTREME ACTION, the STREB PopAction School and the Espana/STREB Trapeze Academy. As a performance and presenting venue and an open access education and rehearsal space, SLAM creates community through interaction and experimentation. Currently, over the course of a year, nearly 10,000 people come to SLAM: 5,000 audience members at nearly 40 shows; 800 students weekly at over 59 weekly classes; 3,000 city school children and community organization constituents; 200 artists who rent SLAM to create and present work, teach and take class; 600 tweens and teens who attend monthly SLAM ACTION CLUBs; and 250 children who attend SLAM summer camps .